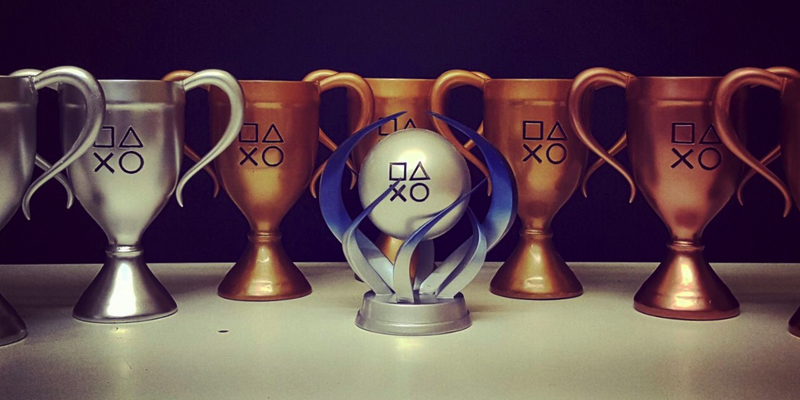 Hakam Karim likes to collect PlayStation trophies. Like, a lot. Sony first introduced its achievement system with the PS3’s 2.40 firmware update in 2008. 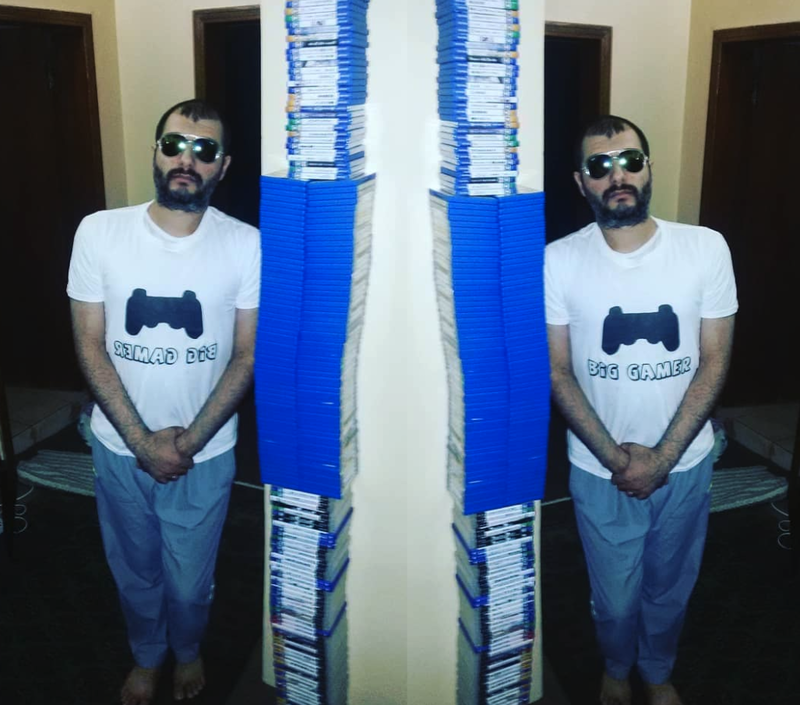 Last week, Guinness World Records finally recognised Karim, who goes by Hakoom on PSN, for his prowess with a certificate certifying him as the world’s top platinum trophy holder. He currently has more than 1,700. PlayStation trophies are broken up into four different categories: bronze, silver, gold, and platinum. Bronze trophies are a dime a dozen.Players often get them just for progressing to certain points in a game. Platinum trophies are much rarer and more difficult to collect. While games can have multiple bronze and silver trophies, they can only have one platinum. Some don’t have any. A standard platinum trophy usually requires a player to unlock every other trophy in the game, usually by not only completing it on harder difficulties but also discovering most of its secrets. In large games like Horizon: Zero Dawn, or notoriously challenging ones like Dark Souls, they can be especially brutal to earn. Karim has platinums in both. Karim, who says he is 34 years old and lives with his family in Bahrain, started collecting trophies back when they began in the summer of 2008. He was playing Super Stardust when he heard the iconic trophy sound for the first time after completing the game’s lava planet. His first platinum was in Uncharted: Drake’s Fortune, a 2007 game that had them patched in. He’s been collecting ever since. During that time he’s occasionally given up on games that he got sick of, or when his save data got corrupted. His first platinum turned into hundreds, and then eventually into more than a thousand. In the weeks since he first submitted his collection to be verified by Guinness, he’s accrued a few dozen more, bringing his total up to 1,724. Throughout most of this time Karim has managed to stay at the top of the the trophy leaderboards. He said he first approached the record vetting organisation in 2011, shortly after PSN was hacked, which he says Guinness used as an excuse not to pursue his claim (Guinness is currently putting together a new video game-centric record book). That didn’t deter him though. In fact, not much seems to, at least when it comes to his obsession with PSN trophies. If he were to let up the grind, other players might eventually catch up and overtake him. According to the trophy tracking website PSN Profiles, there’s only one other player currently within spitting distance of Karim. They go by the handle Roughdawg4 and currently have 1,723 platinum trophies, just one behind Karim. 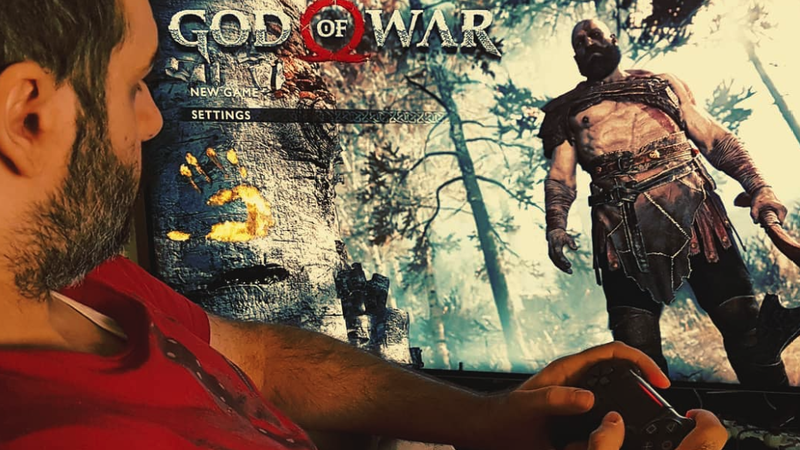 Karim announcing his 1,200 platinum trophy back in April of 2017. In an email, however, he was dismissive this possibility. “I do not have any rivals currently,” he said. “You will know why in a few weeks.” He said he does still feel pressure to be constantly playing though. As a result, he games across PS4, Vita, and PS3 even. It may be obsolete, but it still counts to players’ trophy totals. He claims to own multiple of each console as well, just in case, including six Vitas. Of all the game he completes, he says that some he buys himself while others are lent to him by friends or sent to him by fans. Karim says he used to work at a financial services firm as an engineer until it closed a few years back, then did a two year stint with Bloomberg in Bahrain before that office also closed. Now he says he makes do feeding his platinum obsession through a combination of family support, a government marriage allowance, renting out his vast collection of visual novel games, and in some rare instances getting money from other players who pay him to platinum games for them. Those paid platinum gigs, he says, in some cases go for as little as £15 or can go up to nearly £400. According to Karim, he doesn’t platinum the games himself in these instances, however, but instead passes the information on to other friends, taking only a finder’s fee. “It’s like a guy comes to a shop and buys things—I don’t ask him “why did you purchase this or that,” I take the money and do the job for him. Or in this case, his friends do. He stresses that deals like this aren’t very common though, and mostly it’s just about fans and followers wanting to contribute to his ongoing project. There are three different ways of scoring trophy hunters: who has the most platinums, who has the most trophies overall, and who has the most points. Karim ranks first in each of these metrics according to sites like PSN Profiles, but thinks overall points, in which each type of trophy is worth a certain amount, should be the only true measure. He’s also not without his critics. Where Karim used to only earn 100 or so platinum trophies in a year’s time, he can now earn well over 300. To date in 2018 he’s already collected just over 320 according to PSN Profiles. Some of these are for short games released on both PS4 and Vita, along with duplicates for switching regions and completing the game again (This is why he has six platinums for beating six different versions of Jack N’ Jill DX, for instance). While this is his overriding philosophy, he’s quick to point out that he does have platinums in Ninja Gaiden 3 and Street Fighter 4. In the 10 years he’s been doing this, he feels like he’s proved himself. So much so that he’s even though occasionally about quitting.